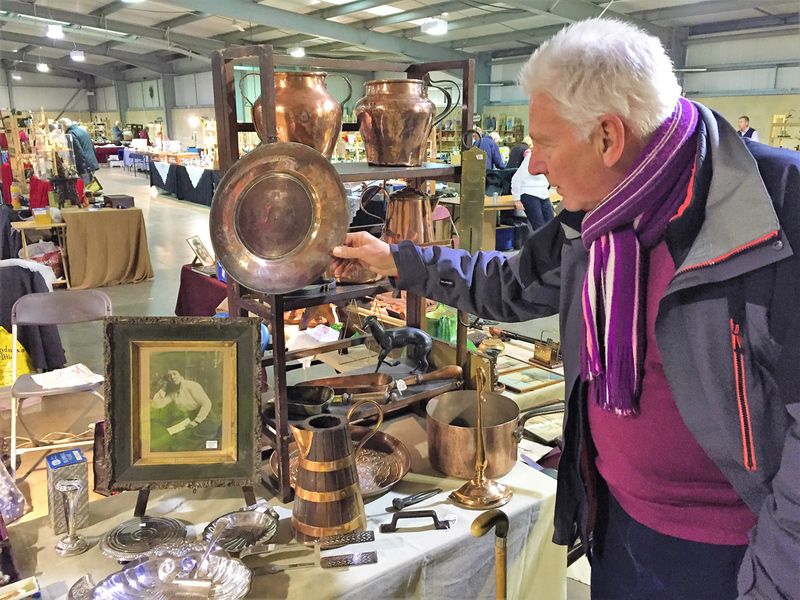 Stall holders at the winter edition of the Ardingly International Antiques and Collectors Fair on January 15-16 at the South of England Showground had more immediate concerns to deal with, however: the weather on day two, which caused some to pack up early. 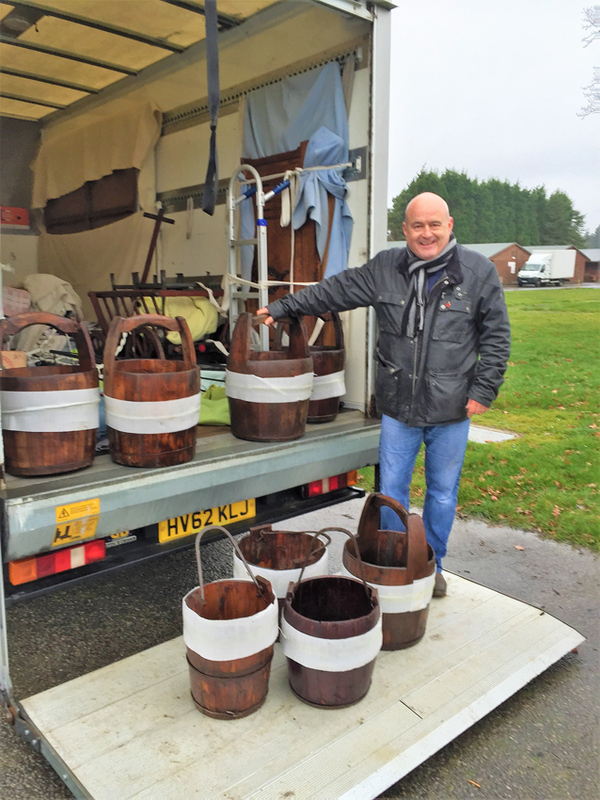 Rain fell as ATG arrived on the second day, by which time many trade buyers had been and gone, except for bargain hunters such as Steve Vanner, a house-clearance specialist from the Isle of Wight who buys for his house-moving clients. "This is the day to look for a deal," he said, pointing out a 19th century French armoire, "in stunning condition, including the beveled mirror" which he had bought from Dutch dealer Jos Wolters for €48. Management consultant Joe Cheal and wife Melody live locally and have "a cabinet of curiosities" at home to fill. They came on day two at Ardingly to buy antique writing materials such as ink wells and writing slopes. They were happy with a Black Forest Stanhope pen purchase and some silver spoons that were “so cheap we didn’t haggle”. Day one was trade-focused, as customary, with a two-tier admission price: on Tuesday, January 15, admission cost £20 per person, to include Wednesday too, while single-day admission on Wednesday, January 16, from 8am, was £5 per person. For private buyers that ATG encountered on day two, that discount was a real incentive. Linda and Michael Parker from nearby Horsham said it “makes a hell of a difference” when only one of the partnership is looking to buy. Linda was tapping into the craze for amber jewellery and talked to dealers in the Queen’s Jubilee Hall about how to discern the real thing from the increasing amount of fakes on the market. One dealer enticed her with Baltic butterscotch amber, which is “what everyone wants now,” the dealer said. Michael Parker (pictured) and his wife Linda browsed jewellery and Arts & Crafts stalls indoors in the Queen's Jubilee Hall. They visit Ardingly on the event's second day from nearby Horsham, the day's discounted admission of £5 for private buyers making "a hell of a difference" in the decision to come, he says. Have organisers IACF considered reducing the admission price when the weather turns nasty? "We have offered reduced entry price when weather conditions merit such a move," says Grant Nicholas, marketing manager at IACF. "But don't forget we run discounted entry offers with ATG and for those who sign up to our newsletter – half-price admission on day one and two-for-one on the second day. "Entry fees haven't gone up for years," he adds, "and certainly not under the current owners. We feel the prices we charge are fair." 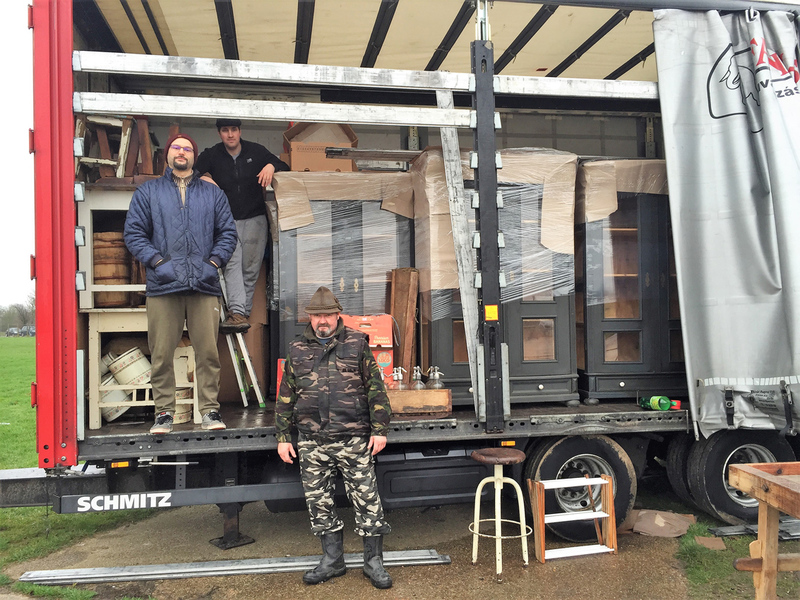 Hungarian Antiques had sold rustic furniture including wardrobes and dough bowls, to interior designers on Day One of Ardingly. 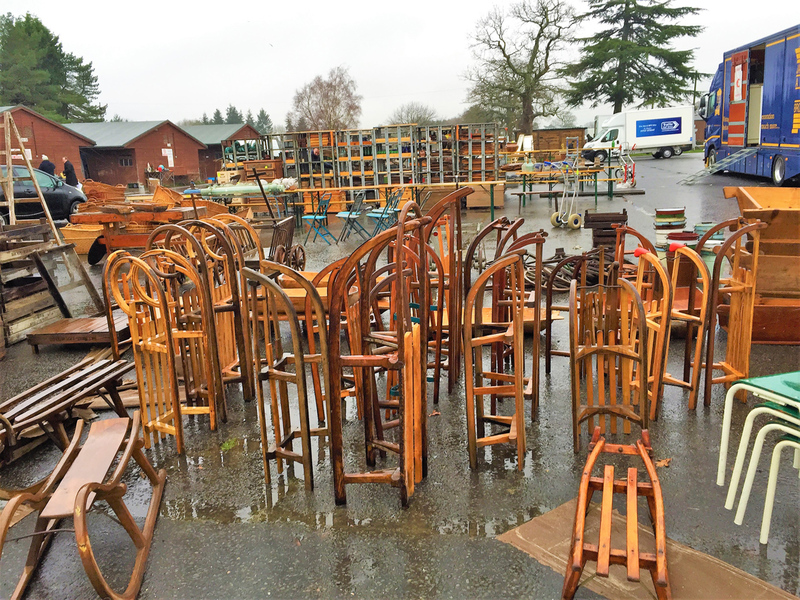 The firm combines stalling out at Ardingly with visits to UK retailer clients. "Nobody knows what’s going to happen with Brexit," says boss Danish Horvdah. "For us, it will depend on what happens with Sterling's exchange rate, any tariffs and the time spent at customs. We come here on a Monday morning and if we get stopped for a length of time, we could miss the fair." 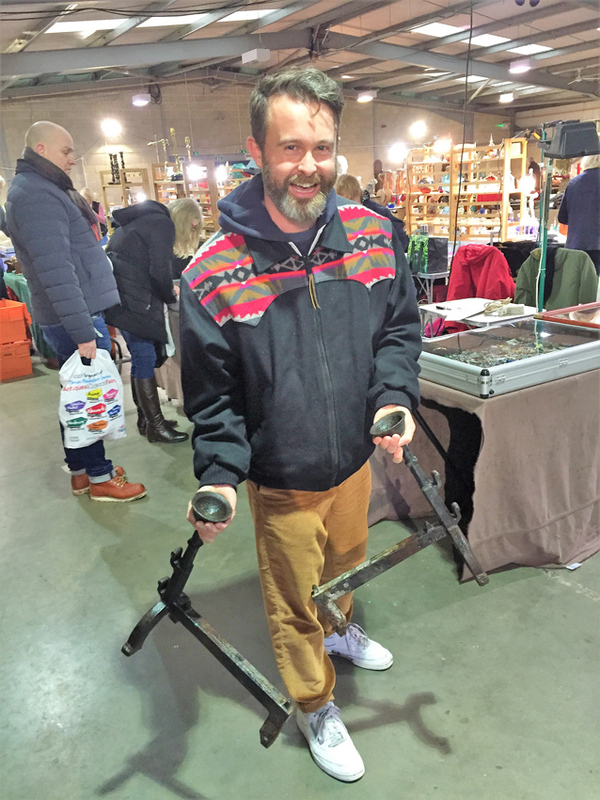 The issue of early-leaver stall holders is a complaint about winter fairs with outdoor pitches – particularly from late-entry buyers looking to bag a bargain. 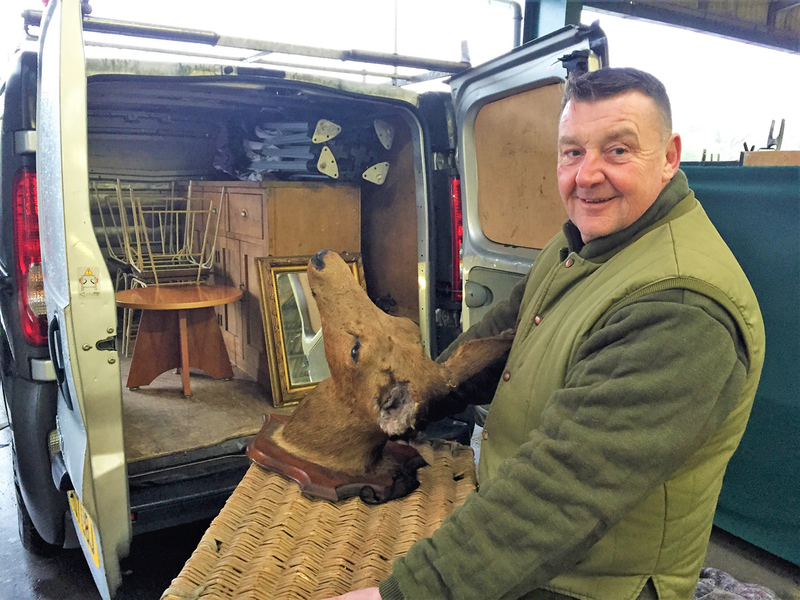 Private buyer Paul Anderton from Hackney, attending his first Ardingly and arriving mid-morning on day two, joked about his "anxiety" at seeing stall holders packing up (see gallery, above). Another newcomer was Jenny Lewis from East Grinstead and her friend Drina, who came early on day two. “I'm disappointed to see traders packing up – that's my only criticism of this event," Drina says, adding: "I can understand why, as it's freezing cold, and it hasn't put me off." ATG put the issue of early leavers to Rachel Everett, IACF operations manager. 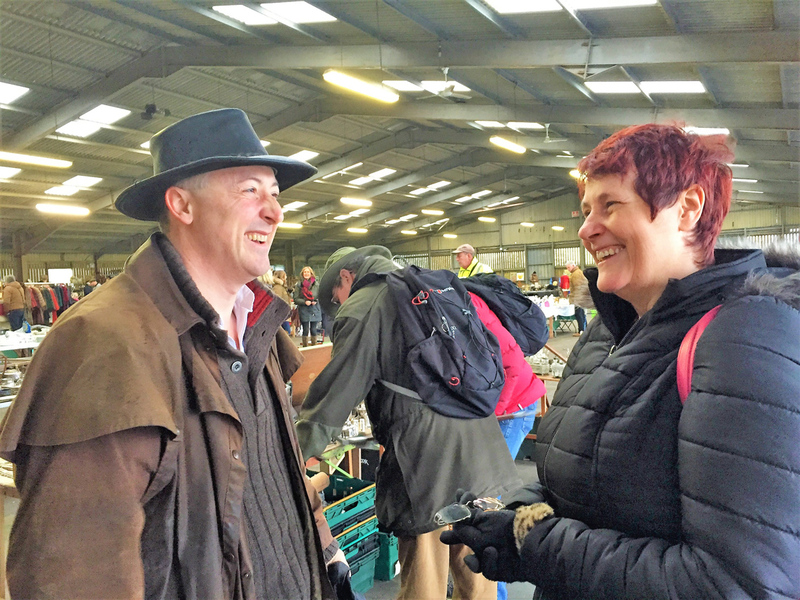 "Ardingly, like Newark, is first and foremost a trade fair, with most of the trading being done on the first day," she says. "Due to the size of the event, we open it up to the public on the second day, and the price of entry is suitably reduced by 75% – from £20 to £5 – to reflect the fact that the amount of stock available is going to be slightly less on the second day. "Many stall holders do so well on the first day that they literally sell out of stock, and – often having travelled some distance – are not able to just nip back and re-stock their van for the second day." Everett points out that stall holders have "other commitments" and that "though we would obviously prefer they stayed for both days, it is impossible for us to force them". ATG noted that the last stall holders to pack up on day two were those in the six covered areas around the showground – doing business even when the weather outside was at its worst.